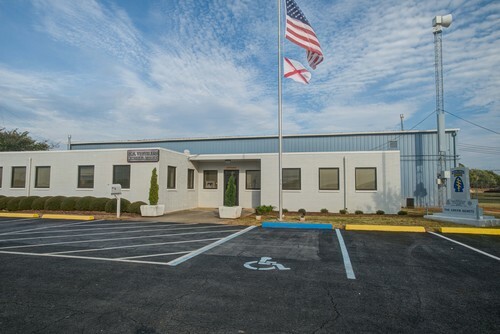 The Veterans Memorial Museum, operated by the Alabama Center of Military History, is dedicated to promoting and disseminating the accomplishments of American military men and women. The emphasis is on participants of World War I and subsequent conflicts, whose survivors and families can use the Museum facilities to reminisce on their own experiences and those of parents, grandparents, and other close relatives. The Museum has been designated by the Alabama House of Representatives as the State of Alabama Veterans Memorial Museum. 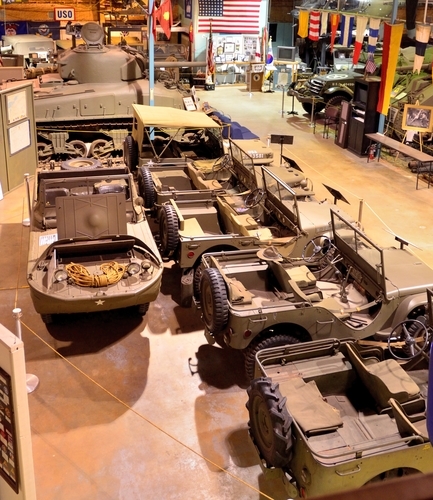 The Museum displays more than 30 historical military vehicles from World War I to the present, as well as tableaus, artifacts, and other memorabilia dating back to the Revolutionary War. Supporting organizations include the 19th Alabama Infantry (www.19thalabama.org), which sponsors exhibits from 18th and 19th Century conflicts, and the 8th Air Force Historical Society, which sponsors a Bomb Group briefing room. Both of these organizations support 'living history' presentations on many Saturdays. Among the attractions at the Museum is a reference library. In addition to published material such as the Seventh Army After Action Report from World War II, the library offers written and oral reminiscences of Alabama veterans. In this vein, veterans and their families are invited to send written material or audio cassette tapes to the Museum for inclusion in the library, These submissions need not be formal. A narrative by the veteran, or an interview by a relative, will provide a lasting legacy of the contribution of Alabama service members to the freedoms that we enjoy as Americans. The Veterans' Memorial Museum welcomes the participation of military and veterans' groups and individuals in making the Museum a valued educational and memorial attraction in North Alabama.